I had this during our vacation in the Philippines a couple of months back. I totally enjoyed our lunch, and while I know that the fat is not good for the health, I could not resist munching through the melting fat, the crunchy skin, and the moist meat. Simply mouth-watering! 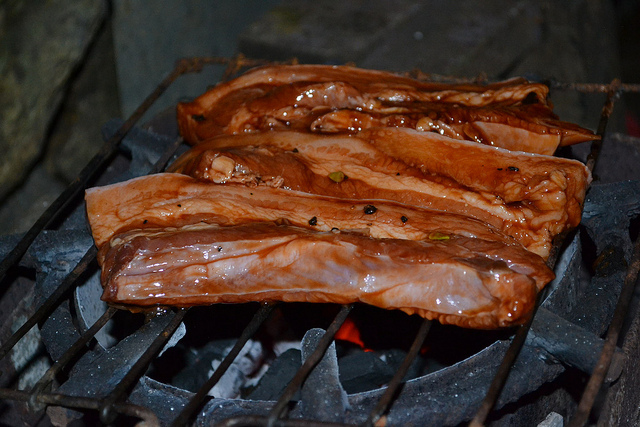 Of course, grilled liempo is also a popular item in summer outings, especially by the beach! And with this yummy dish, beer can't also be far behind. I asked my Nanay what she was using as marinade. She was not very specific on the quantities, but from what I surmised, here are the ingredients for the marinade. We had 1 kg of pork liempo. First, rub the pork pieces with salt and pepper. 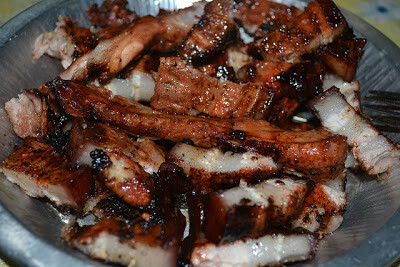 Then simply combine all the other ingredients in a bowl, and then add the pork liempo. 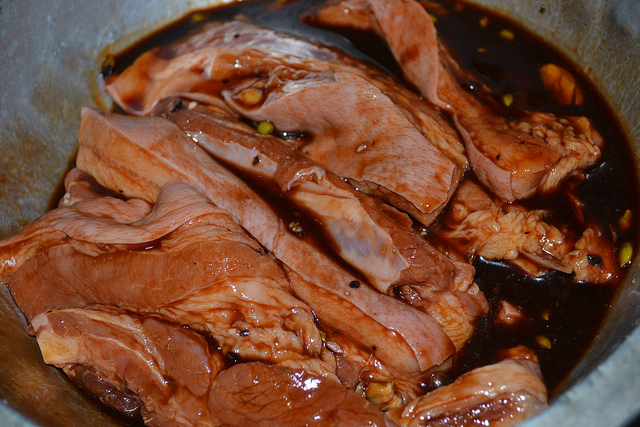 Leave to marinate for at least an hour. Serve with a soy sauce and calamansi dip. Enjoy!